Our fourth finalist is SWAGEN (Support for Women in Agriculture and Environment) based in Kampala, Uganda. Let’s learn a little more about them. The mission of SWAGEN is to create strong grassroots women’s groups who actively participate, contribute to and benefit from development activities in their forest-edge communities. It was founded in 1992 by a group of women from the forest-dependent community in Rwoho Natural Tropical Forest in response to a government policy restricting access to the forest after the first Sustainable Development Conference. Suddenly, the community was cut off from its source of sustenance, and women were particularly affected as they had to travel longer distances to obtain basic items such as fuel and water. SWAGEN’s advocacy activities and negotiations eventually resulted in the Collaborative Forest Management (CFM) agreement with the government. The organisation now has approximately 3000 members spread across Uganda, made up of around 90% women. Members are the owners of the initiative, supporting its activities with their subscriptions. Income poverty; food, water and energy insecurity; and climate change are the key development issues SWAGEN currently seeks to address. One stand-out initiative the organisation can boast is promotion and education in stove and rainwater harvesting tank construction as well as installation and maintenance of solar lighting and phone-charging technology. At least 300 households in the community have now willingly adopted use of alternative renewable energy. Thanks to SWAGEN solar light is now available to 10,500 school pupils so they can revise at night, which has the added benefit of reducing forest wood used for fuel and reducing emissions from burning kerosene. 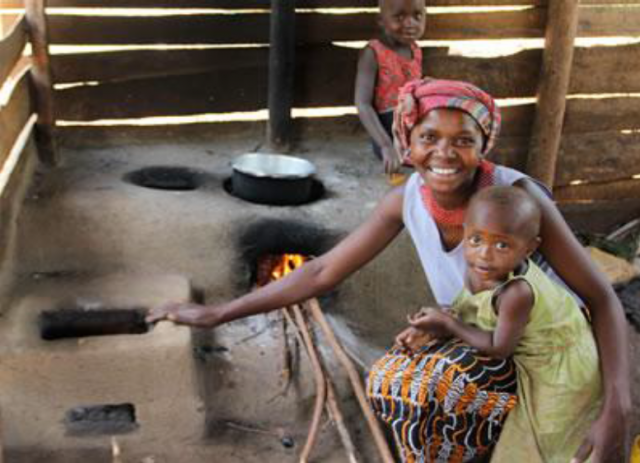 This has led to a decline in respiratory diseases common among women and girls from inhalation of smoke while cooking on open fires and using kerosene lamps. SWAGEN raises awareness of key issues through an interactive call-in talk show set up on local radio, which allows local language dialogue about conservation and management of natural resources. Additionally, the organisation distributes newspaper insertions, posters and calendars to members of the Forest-Edge community, as well as hosting music, dance and drama shows to share information and carry messages about the dangers of irresponsible use of natural resources and benefits of conservation. SWAGEN has been a hugely effective awareness raising, networking and advocacy group that is committed to ensure the equitable sharing of benefits from conservation. Keep up to date with the great work at SWAGEN on their Facebook page. Meet our other finalists here, and follow us on Twitter to be the first to hear who wins the ONE Africa Award.